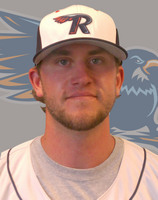 Mike Lee was the #1 overall pick at the 2012 Frontier League Tryout & Draft in Washington, PA. The 6-foot, 7-inch right-hander has affiliated experience dating back to 2008, when he pitched for Lowell in the New York-Penn League. Lee was with the Boston Red Sox organization as late as early this season, pitching for the Double-A Portland Sea Dogs, where he also pitched last year. Lee was drafted in the 22nd round of the 2005 MLB June Amateur Draft by the New York Yankees, the 27th round of the 2007 MLB June Amateur Draft by the Yankees and in the 8th round of the MLB June Amateur Draft in 2008 by the Boston Red Sox.